We decided to do a self-drive safari of Tanzania after I read all the reviews and blogs of other people’s self-drive experience. I figured that it wouldn’t be as difficult as many people have made it out to be, however, I was basing that on just the driving experience. If you haven’t already read my other post, Should I Do a Self-Drive Safari, you should read about the actual driving experience. What I didn’t take into account were the many other factors that come into play when dealing with a third-world country. Whenever we told any of the locals that we planned to drive ourselves to the Serengeti, we received surprised looks, followed by concern. A couple of people said we weren’t allowed to go into the national parks without a guide or driver. Don’t believe them. A couple of places where we inquired about renting a 4-wheel drive, quoted us a much higher price, up to 50% more, for self-driving than with a driver. Even many of the people commenting on TripAdvisor and Lonely Planet warn against driving yourself. These are all scare tactics meant to encourage using tour operators. You can rent a vehicle and you can enter the park without a guide. It will cost you quite a bit for the 4WD rental, especially with places that don’t specialize in it. Our self-drive safari was an incredibly unique and rewarding experience, though a bit frightening at times and not without a few challenges. Depending on why you want to self-drive, it may be worth doing, but it’s a lot of work and definitely not for everybody. Let’s weigh the pros and cons. 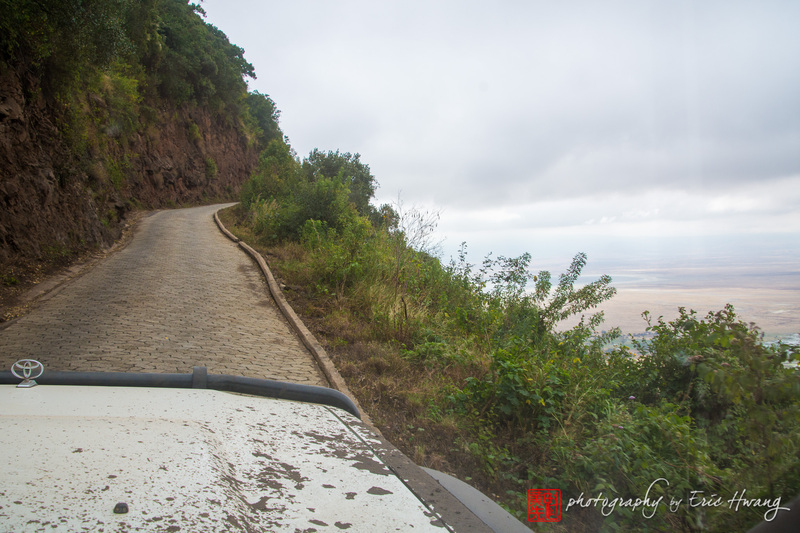 The road out of the Ngorongoro Crater is one of the few paved roads inside the park. Sheri and I have been on quite a few adventures and taken all sorts of different transportation—from a horse-drawn cart in Bagan to 150 kph bullet trains in Malaysia. One never knows what the transportation will be like. It could be very pleasant. It could be extremely uncomfortable. Occasionally, the ride is thrilling. Our road trip through New Zealand, our tuk tuk ride in Cambodia and our motorbike ride in Chiang Mai come to mind. However, I was confident in my own driving abilities or those of our driver.